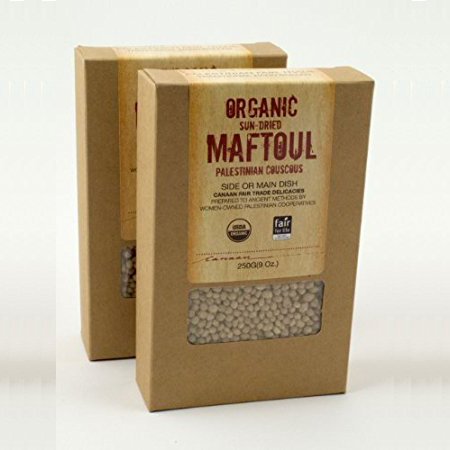 Home / Olive Oil, Foods / Foods / Foods: Maftoul (couscous) – organic, fair trade, 9 oz. A Palestinian specialty! This wholesome and complex grain, handcrafted by a women’s cooperative, is perfect for creating flavorful side dishes and salads. Couscous is known as maftoul in Palestine. 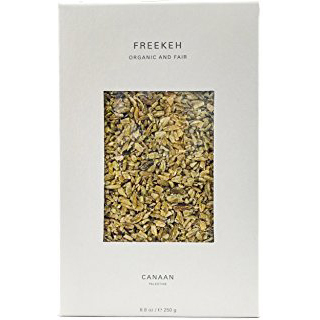 Canaan’s is crafted from organic wheat that is boiled, sun-dried and cracked into bulgur, then hand-rolled in the traditional Palestinian fashion in freshly ground whole wheat flour, then steamed and sun-dried. The result is a rich, complex and nutty wholesome complex grain that cooks to a chewy texture and golden color. It is perfect for creating side dishes and salads, and complements meats, poultry, fish or vegetables. 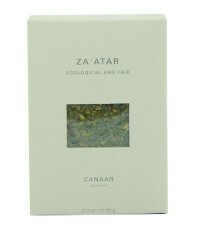 Handcrafted by women’s cooperatives in Palestine, in accordance with Fair Trade principles. Certified organic.